This is the 39th year for Buckeye Chapter Driver’s Schools. We strongly encourage you to give one a try if you haven’t yet. You’ll be amazed at how much you learn, and how much fun you have doing it! Drivers’ Schools are a great place to discover what you and your Bimmer (or other car) can do. Our experienced in-car and classroom instructors teach performance driving techniques under the safest conditions possible. This is not a race, but rather a controlled environment where you can learn and expand the limits of yourself and your car, at your own pace. You’ll learn the proper “line”, and how to better handle your car under braking, at speed, and through corners. Once you’ve mastered the car control and situational awareness skills required for track driving, you will be far better prepared for those “moments” that inevitably arise on the streets and highways. Students are grouped into categories based on prior drivers’ school experience and skill level for in-class and on-track sessions, both to minimize wide variations in speed and to maximize the learning experience. Our schools are a great investment for drivers of any age, gender, or experience level. We’ve yet to hear of anyone leaving one of our drivers’ schools without knowing they had become a better driver. Have a safe and enjoyable driving season. We hope to see you in August! Open-top cars will not be permitted in the schools. However, Porsche Targas and C5 and C6 Corvette hardtops are allowed, provided non-glass roofs are installed. Helmets are required for all students, and must be either Snell 2010 or 2015 rated. WANT TO LEARN MORE ABOUT OUR BUCKEYE DRIVERS’ SCHOOLS? 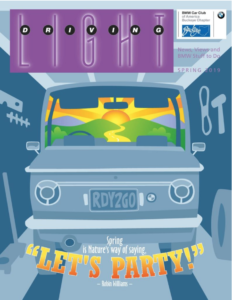 An Open Invitation to our HPDE_2019 to learn what you can expect and what we expect of you, some FAQ’s and how to get the most out of the weekend. BMW CCA Buckeye Chapter takes driving resumes with references for those interested in instructing. Please send resumes and references to Bud Dornette (contact info below). 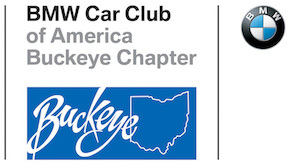 If you have instructed for other regions/clubs but not BMW CCA Buckeye Chapter, we prefer that you do your first BMW CCA Buckeye Chapter event as a student. This becomes a requirement if you have never been to Mid-Ohio. We expect our instructors to be experienced with Mid-Ohio in all weather conditions.